Astronaut Christina Koch will establish a new record for the longest single spaceflight by a woman, NASA announced Wednesday. The 40-year-old Michigan native is already aboard the International Space Station, having arrived there March 14, and will remain in orbit until February 2020. That will give her a 328-day stint aboard the ISS. "It feels awesome," Koch said of her extended mission in a video shot aboard the ISS and posted by NASA on Wednesday. "I have known that this was a possibility for a long time, and it's truly a dream come true." If Koch remains on the ISS as planned, she will break the record for the single longest spaceflight by a woman of 288 days set by retired astronaut Peggy Whitson in 2017. She'll fall short of the all-time record for a single spaceflight of 340 days set by former astronaut Scott Kelly in 2016. The announcement comes weeks after Koch was in the news as a result of NASA's controversial decision to cancel its first all-female spacewalk. Koch had been scheduled to venture outside the space station with fellow astronaut Anne McClain on March 29, but the space agency changed the spacewalk assignments because only a single medium-size spacesuit was available. Koch wound up doing the spacewalk with astronaut Nick Hague. McClain's spacewalk was rescheduled for a later date. 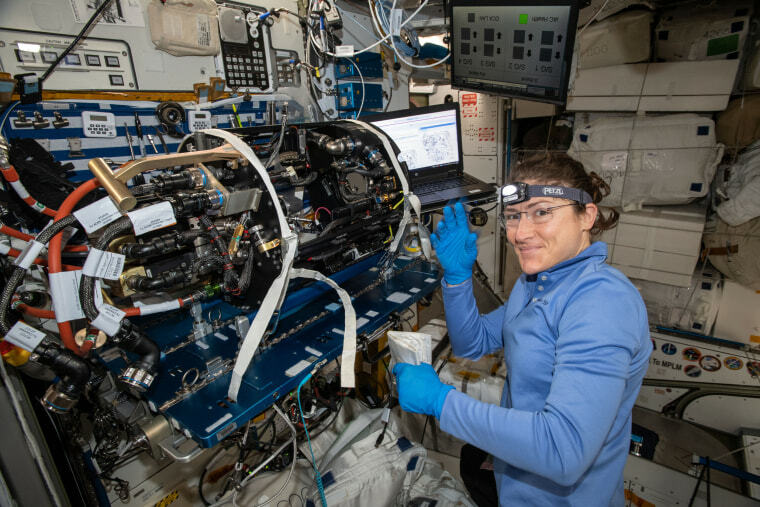 As it prepares to send astronauts back into deep space, NASA is looking to learn more about the effects of long-duration spaceflight on the human body. Koch certainly seems eager to help. "One month down. Ten to go," she said in a tweet. "Privileged to contribute my best every single day of it."